Giuseppe Tartini was an Italian Baroque composer and violinist. His parents intended for him to become a Franciscan friar, so his schooling under clerics included some basic violin instruction and musical training. However, Tartini resisted the clerical profession and began studies at the University of Padua in 1709 to study law. While at the university, he continued to study music and take violin lessons, while also taking up an interest in fencing. He married Elizabette Premazore, the niece of the Bishop of Padua, in secret in 1710, when he was 18. Three years later, when the marriage was discovered, Tartini was charged with abduction. Tartini fled Padua to go to the monastery of St. Francis in Assisi, where he could escape prosecution. During his time there, he resumed violin studies and played in the convent orchestra. He was recognized while performing by visitors from Padua some two years later. His dedication to his talent and his musical ability helped him successfully reconcile with the Bishop, and the couple moved to Venice. Through constant practice and study, Tartini's skill improved steadily and he was appointed director of the orchestra in the Basilica of St. Anthony in Padua in 1721. He was generously given a contract that allowed him to play for other institutions if he wished. He would continue to hold this position for the next 49 years, until shortly before his death. Though he frequently received offers to go perform in the great European cities, he chose to remain in Italy. He founded his own violin school in 1728, and the school quickly became famous and acknowledged throughout all of Europe. He was very selective with acceptance into the school, as he gave careful attention to each of his pupils. He emphasized his own ideals of violin playing: clarity of execution and intonation, beauty of sound, and subtlety of expressive nuance. 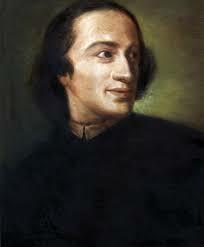 Gradually, Tartini became more interested in the theory of harmony and acoustics, and from 1750 to the end of his life he published various treatises on topics and experiments in acoustics, instructional material, and compositions, along with a study on bowings. Almost all of Tartini’s works are violin concerti (between 135-200) and violin sonatas, though he did also write some sacred works, a trio sonata, and a sinfonia. Some scholars and editors have found his music troublesome because Tartini never dated his manuscripts, and would occasionally revise works that had been published or finished years earlier, making it hard to determine exactly when a work was written, revised, or what the extent of the revisions were. Undoubtedly, Tartini's most famous work is the "Devil's Trill Sonata," a solo violin sonata that requires a number of technically demanding double stop trills and is difficult even by modern standards. (One 19th-century myth proposes that Tartini had six digits on his left hand, making these trills easier for him to play). Although the date of the sonata is largely unknown (but many music historians believe it to be around 1745), the piece was not published until 1798. Tartini was the first known owner of a violin made by Antonio Stradivari in 1715, which Tartini bestowed upon his student Salvini, who in turn bestowed it to the Polish music composer and virtuoso violinist Karol Lipinski upon hearing him perform, from which it derives its moniker, the Lipinski Stradivarius. Tartini also owned and played the Antonio Stradivarius violin ex-Vogelweith from 1711. Along with Vivaldi and Veracini, Tartini is one of the greatest composers, violinists and theorists of the 18th century. His works showcase many examples of how the musical world evolved after Corelli. Solo sonatas were reduced to three movements as opposed to four or five; there was a greater range amongst pitch, speed, double- and triple-stops, and variation in bowing style; and a more sensitive expression of style.